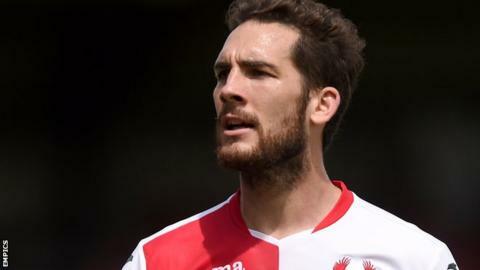 Macclesfield Town have signed striker Reece Styche on loan from Kidderminster Harriers until January. The 26-year-old Gibraltar international has scored four times in 17 appearances for the Harriers this season. Styche has played the majority of his career in non-league at Chasetown, Forest Green Rovers and Tamworth, with a loan spell at Wycombe in 2014. The Silkmen are 13th in the National League and Styche is available for the game at Braintree on Saturday.